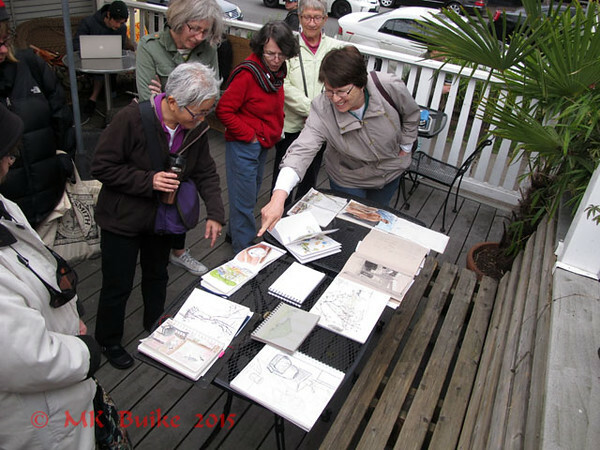 The previous time Urban Sketchers met in Fremont my priority was seeing the Troll. 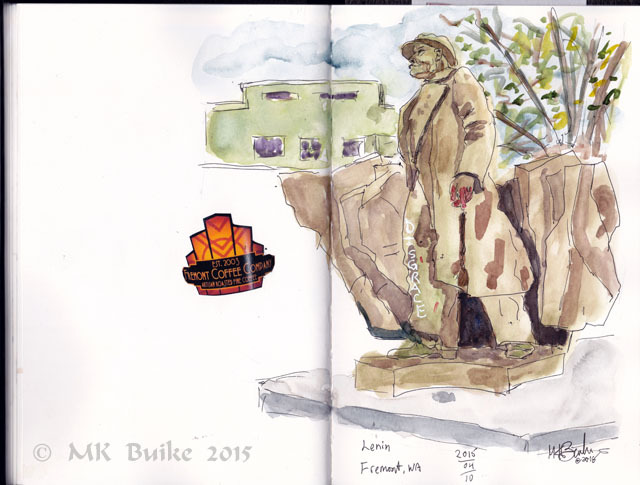 This time, I sketched another Fremont icon....Lenin. The statue had been defaced with paint and protest graffiti. I included the red paint on the hand in my sketch. Opposite the corner where Lenin stood was the "Space in Fremont" set of sculptures. 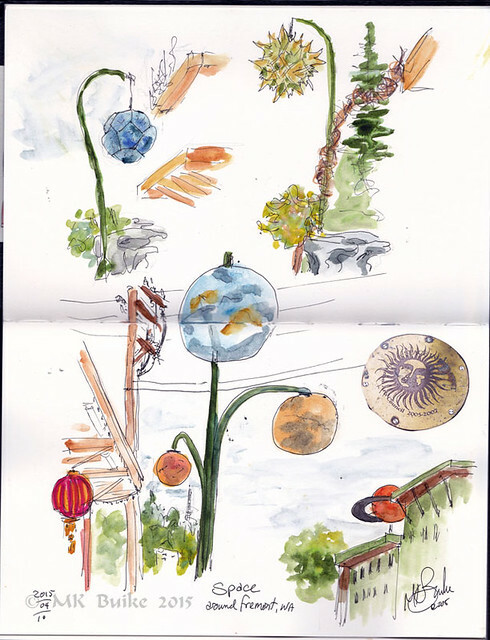 They looked like planets hanging from poles. I sketched the group of them, all on one page. 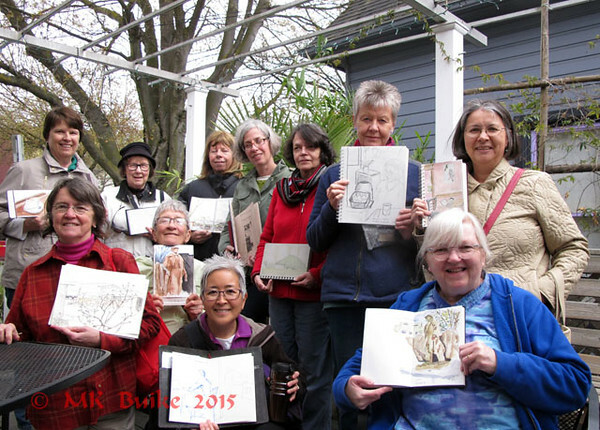 Then we shared our sketches.